Everything You Need To Know About Candida Mold - YeastInfection.Org by Eric Bakker N.D.
February 9, 2015 by Eric Bakker N.D.
Fungi possess a diverse and dramatic mode of existence which enable them to survive in heterogeneous environments. Simply stating, some fungi have the potential to adapt to the environmental changes and therefore, can survive through modification of their behavior. Those fungi are termed scientifically as ‘diamorphic fungi’and the phenomenon is referred to as diamorphism. Diamorphism literally means existing in two forms. Those two forms are commonly known as Mold and Yeast. Mold is the form of fungus which possesses spectacular characteristics of existing and growing in the environments outside animal or human body. These therefore, survive in the temperatures at around 25 degree celsius. Mold form of fungus anatomically presents as filamentous, hyphae and are multicellular. These also germinate spores exhibiting different qualities. Because of their phenomenal feature to grow on inanimate objects and food substances, they are also named as saprophytic fungi. Yeast, however, is the form which is unicellular and grows in colonies inside human body or at 37 degree Celsius in laboratory techniques. Because their primary mode of survival depends upon extracting nutrition from living organism like humans and animals, these are also termed as parasitic fungi. 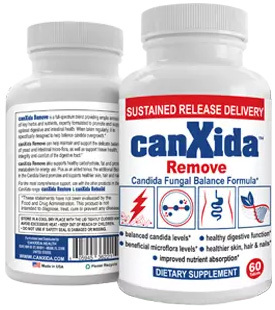 Candida is a fungus which have almost 20 different strains with different qualities peculiar to each specie. There are some strains which inherit the quality of diamorphism, existing as mold and yeast. Mold form of candida grows in damp environments and at low temperatures as opposed to yeast which grows at human body temperature. They grow by spreading their finger like projections, filaments or hyphae, on the surface of object, wherefrom they derive their nutrition. Mold form of candida has inbuilt enzymes which warrant them to denature the food substance for their nourishment and survival. Can black mold or exposure to mold cause candida? Suppression of Immune system: Intactness of our immune response is integral to resist against growth of microorganisms. Black mold is toxic to our immune system and it leads to suppression of immunity and therefore, making our body prone to any infection. Candida, being a fungus, is honored by the opportunity and inflicts the body without any delay. Hypersensitivity: Once inflicted by black mold, it sensitizes our immune response to the antigenic spores and the mold itself. Memory is created in our immune system and therefore, when such a person is exposed to candida, their body shows a fulminant response due to hypersensitivity reaction. Can House Mold cause Candida? Candida Mold to Yeast: If candida exists in the mold form at your home, then the likelihood is that your body might get contaminated with the infection and it converts to yeast infection. Remember, we talked about, yeast is the form fungus which exists at body temperature, as opposed to mold which exists at room temperature. If one form of mold exists in the household area, there is quite considerable chances that candida mold might also be present in the vicinity. Immune suppression: Just like black mold causes immune suppression, other types of molds acts by suppressing immunity and thereby, making the body conducive for candida infection. Inhalation by the exposed person: When a person is exposed to the places where there is germination of spores by the molds, there is considerable plausibility of inhaling these spores. Upon first time exposure, these spores get stuck to the mucosal lining of the upper respiratory tract, nose, larynx and trachea, causing direct irritation and leading to an immune response. When immune system comes into play its role in fighting against the intruding body– that is spores, it causes the mucosal lining to secrete more of mucous and therefore, symptoms like post nasal dribbling, flu and stuffing of nose occurs. One time exposure is enough for the immune system to get primed and sensitized to the antigenic nature of the spores. Therefore, when seconds exposure is experienced, by the person who is already sensitized, a full blown hypersensitivity reaction occurs which resembles like attack of asthma. Regrow: second fate of the spore is that when it settles on the inanimate object or food substance, it grows into a form of mold and releases enzymes which are required to denature the object and draw nutrition for its survival and growth. In order to achieve these goals, certain foods are allowed and others prohibited. Prohibited Foods: Food substances which are rich source of sugar should totally be discarded from the diet. Sugar is the main source of survival for the candida and therefore, any diet rich in sugar would flourish the growth of candida and its spurt can proportionately be correlated to the amount of sugar in diet. Permissible Foods: Diet abundant in proteins, seafood, vegetables and fruits is an excellent remedy for candida. When a person craving for sugar is provided with yogurt, it proves to be drastically harmful for candida. Meaning thereby, nothing acts as insulting to candida as depriving it of sugar when it needs the most. It is recommended against the use of canned or preserved food even for the allowed category of foods. There are laboratory tests which can establish if a person is sensitive to candida or mold. A preliminary screening questionnaire, https://www.yeastinfection.org/yeast-infection-evaluation-test/, can help you determine your risk of developing allergy and guide if you have underlying infection by candida or mold. IOM (Institute of Medicine) in 2004 conducted a study which proposed that there was a seemingly good evidence suggesting a link between the mold and upper respiratory infection in healthy adults, asthmatic adults and even in patients with hypersensitivity pneumonitis. There was evidence that indoor mold was linked to the upper respiratory infection in children who were otherwise healthy. Mayo Clinic published a study conducted on 210 patients with sinusitis. Researchers were astonished to find a significant percentage of patients inflicted by mold or yeast infection presenting with chronic sinus infection. Researchers, in another study, found a protein, HWP-1, in Candida resembling the structure of gluten. Therefore, suggesting that the patient’s alimentary tract sensitive to candida might show intolerance to gluten diet which persists even with the elimination of gluten from diet, a strong differentiating feature from celiac disease. There is no evidence that mold feeds candida, however, the abovementioned discussion is enough of an evidence that infection by mold leads to deleterious effects on human immune system and thus creates a conducive and receptive environment for the growth and survival of candida. Where is Candida Mold found? Molds and fungi thrives at places where there is humidity and warmth like in hot climate with humidity in the environment. To name a few, these places indoors can be found in washrooms, kitchens, walls and ceilings of storage rooms, water tanks, pipes and plumbing systems. Outdoors, these fungi can be found in shady tree areas with a damp ground and moisture in the environment. It is worth mentioning here that Candida is found in human body as a part of normal flora. It is present in oral cavity, gut and skin. It, however, does not harm and remains dormant until a threat or insult causes breach in immune system. Therefore, manifestation of candida in a normal individual does not always mean that one is infected by it. A screening questionnaire, https://www.yeastinfection.org/yeast-infection-evaluation-test/, can help make distinction and identify infected individuals from those harboring normal floral colonies of candida. The doctors in Bashaw Alberta Canada here so not seem to get my concerns in regards to mould I been showing several symptoms of living in mould as has my 3 1/2 year old son and it is getting worse ! Someone please help me to find a doctor who will test me for this and a new place to live . I wish so much I could offer some help. I am just learning about all this as well. My family and I just left a home that was filled with mold. We finally got out but my dad was hospitalized the three weeks following our move. It has now been a month and a half we are still feeling all the symptoms, not as bad. The doctors we talk to either just want to ignore it or say they think the mold is the problem but they have no idea what to do. If I find someone or something to help I will let you know. Praying for you and your son both. I, too, am a single mom and know the struggles that go with it. I know it must be extremely hard adding this on top. Please take care. I am a black mold sufferer. It feels liek hell everyday. It is seriously a big problem. It starts from normal sinus infections to heavy sinus infections which join you for full year. It affects directly your immune system. It is mandatory to change house and find a mold free place first and then start take anti-candida diet. You will find relief… Stop taking antiboitics because they will increse your problem. Consult any naturopathic doctor. I just wanted to know what candida looks like when it’s growing on food. Is it visible at all? I can see something from time to time but not exactly sure what it is im seeing. I’ve never experienced any of this before and now am in the depth of its hell as well as my family and dog. The behavior is a bit extreme compared to what has been explained. I feel that this is quite inteligent (as they explained its adaptability to pretty much anything…no wonder everytime I had it pegged it switched gears on me)! What I can see is in the right light and “off sight” or “unfocused sight”, as I’d like to call it, is a continually moving, very invisible but not unable to see entity on surfaces as if building up or perhaps looking for nutrition via the philo fingers or whatrver the hell they are haha. You can even feel them move around on the skin from time to time. They are shiny in bright enough light, if they are the yeast candida. I can pull those out of my mouth and see them. Hairs burrowing in between my tastebuds is how I came across this wicked tormentor from hell!! Be careful though, I screwed myself making it far worse than I needed and probably not beyond repair by my investigating having no clue the potential of it early on. You can most definitely pull what seems a mile of string and feel it tryinh to escape out of your hands. Its not very pretty how it treats your outer body either. Be very careful. It been 10 months for us now and this crap is litterally on all surfaces of this house as well as any living body here.Not only will youget headaches but plenty of body aches as well and if this is built up to an extreme level in you and you dare physically tending them out, it’s like it deliberately tweaks your brain and makes you feel hopped up on a load of pain meds that make your head spin. You’ll get extremely dizzy. You’ll be able to feel them pouring out any exiting hole in your body. Eyes are the worst for me. You can best see the invisible shiny strand if you put a string/fiber/hair ot two in very close vicinity and they start dancing around or connecting to a second as if they are alive. I sometimes call these the Japanese fighting hairs. A little disturbing but I first noticed the two hanging from my bathroom cupboard moving as if they had a muscle running through the whole thing. Creepy, huh? From what you are describing it sounds like you have Morgellons Disease. Its a type of parasite that like mold and fungus on their host. i.e. you. I know how you all feel. I had a severe mold oitbreak in my home and didnt know it was caused from leaking pipes in the walls. I too have been violently ill over the last three years and am stuck in this hell. I feel for you all and its so hard to find doctors to treat it. My doc pit me on a treatment of nystatin loauid for four months i started to feel better but now we think its in my bloodstream. What a way to live right. If a person has a strong overgrowth of candida, will he be able to pass this over to other people by his breath? I have a person working in the same room as me, who has a very big problem with his breath, its crazy. I feel that my stomach is behaving strange since we strated sharing rooms.